I experienced a first this morning in our Waterford Hotel: whisky on my porridge. There were other offerings including a whisky liqueur but I stuck to a small dash of the local hootch. Before leaving Waterford we visited Waterford Crystal to buy a gift and then wandered along the waterfront. 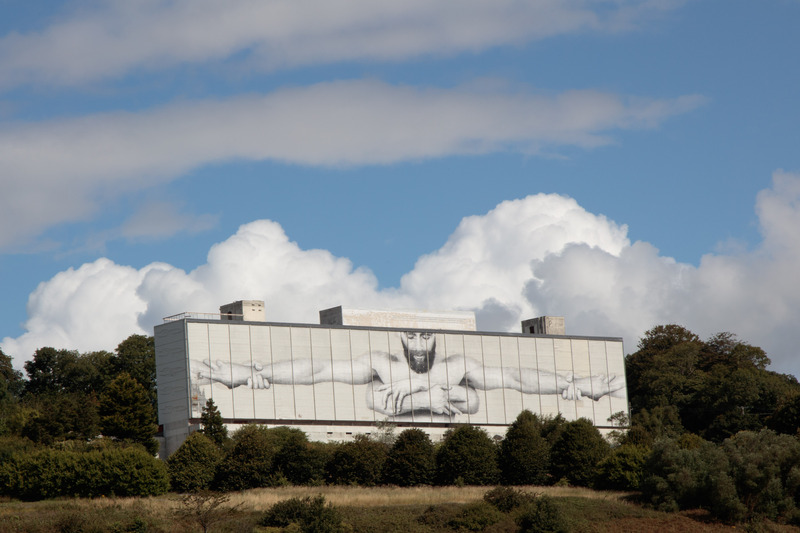 This artwork was produced during one of the annual arts festivals and represents positive mental health. One of the hotel staff told us that the artist had started to paint, it had begun to rain but he continued, much to the amazement of everyone. Back on the road we passed Dungarvan and then diverted via R674 to Helvick Head (Ceann Heilbhic in Irish). Irish Gaelic is still spoken in the community around here. Just before the end of the headland there is an old building which used to house some Turkish Baths. The nearby cafe now offers spa facilities. 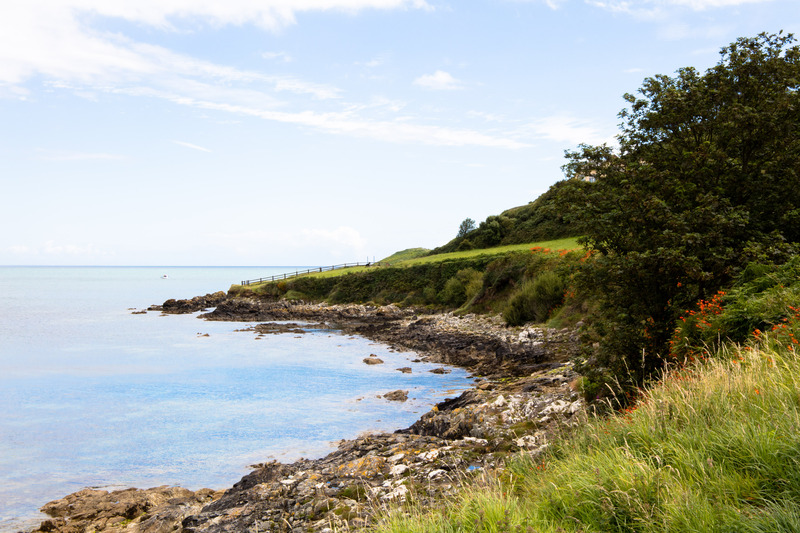 There is a short path which leads down to a small pebble beach where some families were enjoying the sun. 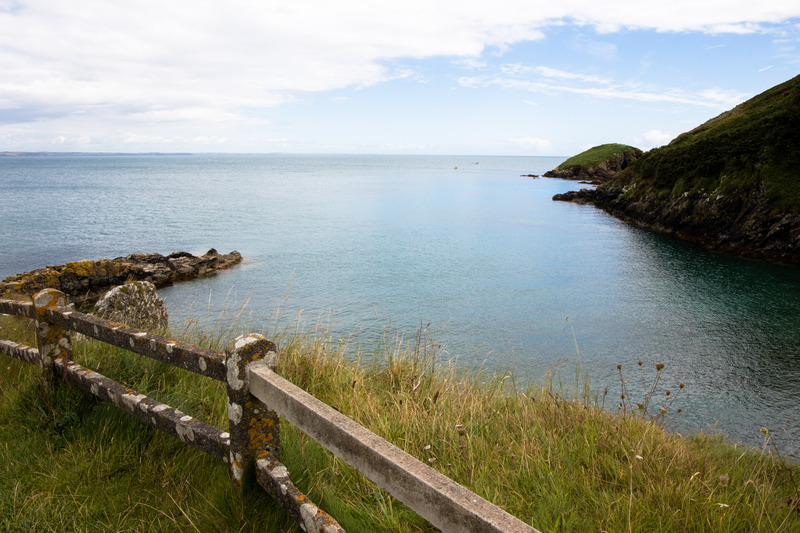 There are also views over Dungarvan Bay. 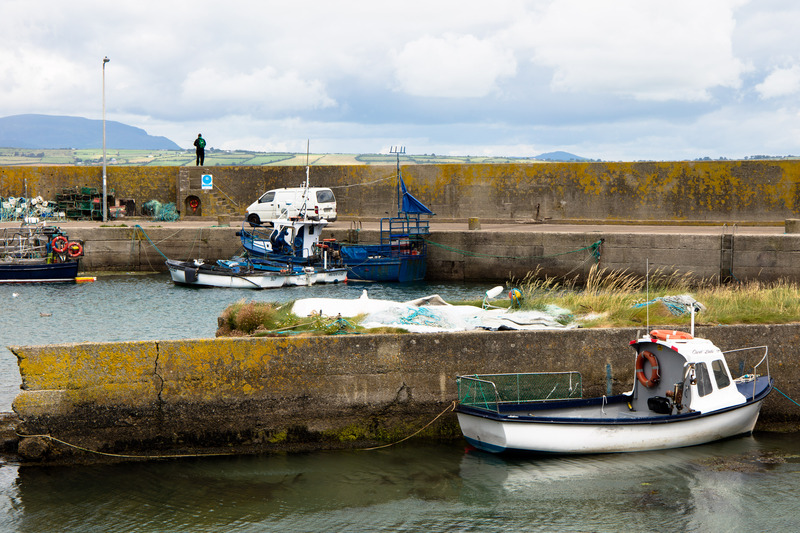 There is a small harbour where one guy was fishing from the wall. Just as we were about to leave, a fishing boat returned and was offering his scraps to the gulls who crowded around his boat. There were drifts of wildflowers and some crocosmia that had escaped from someone’s garden and was flourishing. 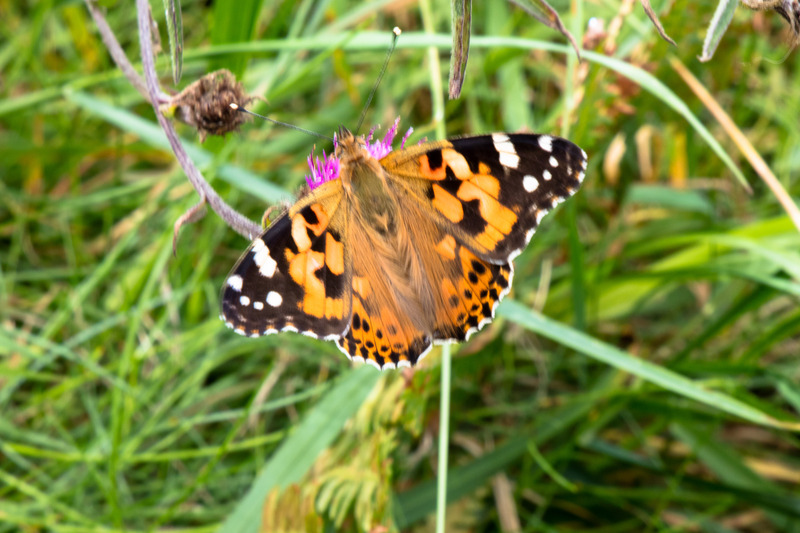 Pollinators were feeding and I spotted this Painted Lady butterfly which is declining in number. 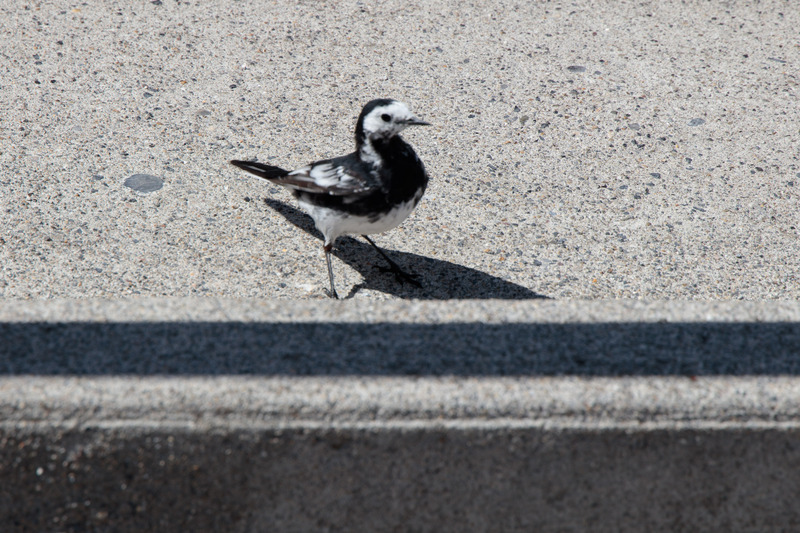 We sat outside the cafe enjoying our drinks while this Pied Wagtail hung around hoping for some crumbs. All too soon it was time to return to the main road and continue towards Cork. I made a note that south of Youghal there is a large sandy beach and a bird reserve to visit on another occasion. Before we got to Middleton there was a long delay due to road works and then the satnav tried to send us down a pedestrian passageway in the middle to Cork when we were trying to find our hotel. We got there eventually and settled in to plan our exploration the following day.